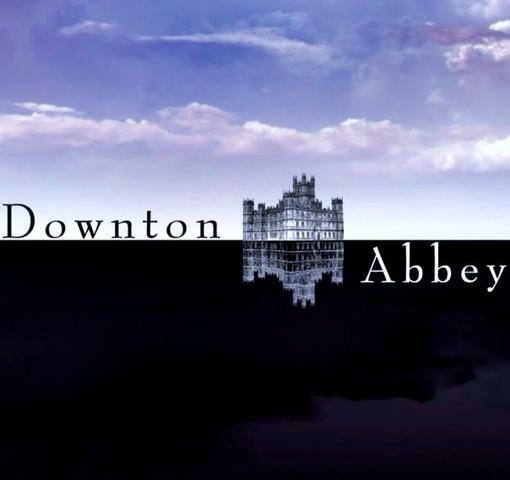 The sun is rising behind Downton Abbey, a great and splendid house in a great and splendid park. So secure does it appear, that it seems as if the way of life it represents will last for another thousand years. It won’t. 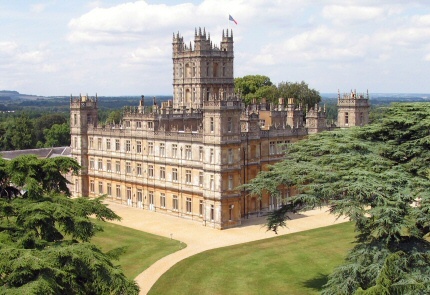 Filmed at Highclere Castle in Hampshire (though Downton Abbey is placed firmly in Yorkshire), the series is the brainchild of Julian Fellowes (now Lord Fellowes), Academy Award winning screenwriter of Gosford Park and well-known chronicler of upper class foibles and fashions. When Gareth Neame, Managing Director of Carnival Films, asked Fellowes to develop a new drama series, Neame intended for Fellowes to adapt his best-selling novel Snobs. However, discussions quickly turned to a subject Neame had mulled over for some time, and surprisingly, Fellowes had been thinking along similar lines. Highclere, the residence of the Carnavons since 1679, was renovated in the mid-19th century by Sir Charles Barry, architect of the Houses of Parliament in the then popular Italianate style. According to Thomas Hay Sweet, “during the second half of the nineteenth century, Highclere perpetuated the spirit of the hospitalities of Lord Falkland’s house at Great Tew in Oxfordshire during the Civil War period” and by the late Victorian era, Highclere possessed one of the finest pheasant preserves in the kingdom (Baily’s Magazine of Sports and Pastimes boasted that “when Lord Carnarvon succeeded his father, the annual bag was only about 2,000 pheasants and 500 partridges, but in the season 1895-6 Lord Carnarvon and his friends killed nearly 11,000 head in three days, while the total bag was 32,000.”). Besides the delights of the gun, the Castle stood on high ground in the midst of the “most noble park in the whole of the South of England.” Spanning 13 miles in circumference, it included towering hills, clad with “lofty trees or thicket growths, rising to a height of 800 or 900 ft., whilst in the lower glades a heath-fringed lake shines through the forest openings. Here again virgin woods of gnarled oak or straight-limbed beech, or the later planted Scotch firs and pines, seem to follow their own wild courses unchecked by man ; whilst nearer to the Castle banks of rhododendrons and azaleas positively startle the visitor by the brilliancy and rich variety of their colouring, thrown into yet stronger relief by a dark background of cedars and other noble evergreens. Roaming, too, outside the garden limits, a variety of exotics and flowery trails of tropical luxuriance occasionally make their way in a flood of unexpected colour.” Despite Highclere retaining its Edwardian elegance, time and modernity changed the bedrooms and kitchens dramatically, and the servants quarters, kitchen, and bedrooms were constructed at Ealing Studios, just outside of London. Read Highclere Castle – The Sketch [Dec 7, 1904]. With the cast a mix of veterans of newcomers, with some–such as Hugh Bonneville, Maggie Smith, and Elizabeth McGovern–being quite familiar to American audiences, Downton Abbey is a definite treat. Be sure to join me, Laurel Ann of Austenprose, Cheryl of Enchanted Serenity of Period Films, and Olivia Wong of Masterpiece in a live Twitter chat, Sunday, January 9th at 9 p.m. EST with #DowntonPBS!